So, we’ve developed some really cool appointment booking stuff lately for some of our clients. If you’ve tried to find some time to talk with me, you’ve probably noticed that we’re using the system too. You get it…back and forth…total waste of time. Instead, just add your appointments to your site like my buddy Brendon Elliot and his team of golf instructors at Little Linksters. They’re golf pros giving lessons to kids…they book everything and accept payments in advance right on their site. Really cool. By the way, Brendon just earned the PGA’s National Award this year for Junior Golf Development…good stuff. Here’s a link to carve out some time with me to talk about online appointment booking on your site. It connects with your personal calendar…no conflicts…and when someone books time, it’ll just appear on your schedule. Huge time saver…and an effective lead conversion mechanism for some sites. https://www.webdesign-phoenix.com/wp-content/uploads/2018/01/brendon-elliott-little-linksters.jpg 649 1031 Casey Bourque https://www.webdesign-phoenix.com/wp-content/uploads/2016/09/web-design-phoenix-2.gif Casey Bourque2018-01-26 11:46:072018-09-18 12:29:39How about my people talk to your people? So, hopefully you had a chance to check out Matt Cutts’ short SEO video, and you now know the top running speed of a cheetah. SEO can be awesome…the idea that people just “find” your company online and your phone rings. But it is powerful in its simplicity. Here’s the premise…by the way, I can’t take responsibility for this tremendous artwork or the concept itself. My buddy Russel Brunson is the mastermind. Step 1: Who is your ideal customer? What kind of fish is it…an 18-year old kid, a 55-year old corporate executive, a small business doing between $1 and $5 million dollars per year? Here’s a link to create buyer personas if you need help with this part. Step 2: Where are they hanging out? Are they fiddling around on Facebook? Are they driving in their car? Are they at their office computer Googling stuff? Last week we talked about one of our clients selling medical devices to hospitals. Their buyers aren’t Googling or Facebooking…they’re running around all day inside hospitals. That means SEO or Facebook ads won’t work…they need sales reps to physically visit them. Step 3: What kind of bait are you going to use to attract them? Maybe it’s printed catalogue or brochure. You could offer a cool ebook on your website to compel them to sign up for your mailing list. Maybe you host an informative webinar, a podcast, or invite a decision-maker to play some golf. What are your targets interested in, and what would entice them to take some sort of action? Step 4: Where are you going to take them? What is the absolute best way you can possibly serve them? What’s the end destination for your ideal customer? …this could be months, years, decades down the road. Let’s say you’re an auto manufacturer. Your ideal entry level customer may be a 35-year old male making $65-80k per year. Your bait is a good value SUV because your customer has a young family. Over the years, the kids grow up and he’s got more disposable income. Your end destination is to eventually get him into your top-of-the line $130,000 sports car when he turns 60. …Or maybe you’re in business consulting. The best way you can serve your top clients is with a fully immersive 1-week on-site evaluation for $50,000. You may not be able to sell this until you earn trust and deliver results with smaller plans, but incremental steps can lead them there. Go ahead and draw some stick figures if you need to. • Figure out what kind of customers you’re hoping to catch. • Where are they hanging out? • What kind of bait will work best? • Where do you want to take them (how can you serve them in the best possible way)? Take our free online marketing self-evaluation to figure out what your company is doing well, and also where may be some opportunities. This quick overview often helps uncover some “quick wins” in your marketing plan to help you immediately. It’ll take you 5 minutes to answer some yes/no questions – a great tool that we typically reserve for our new clients to help uncover strong and weak areas in their online marketing presence. Maybe you’re attracting a ton of website traffic, but aren’t converting any of those strangers into qualfied leads. Alternatively, maybe some data and analytics tracking would help to inform future design and business decisions. We haven’t come across a company yet that is doing everything on our checklist, but everyone who goes through this exercise gathers some fresh ideas and perspective. Give it a try. 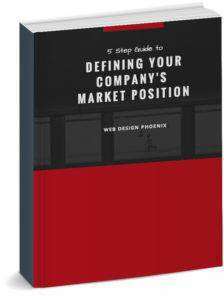 https://www.webdesign-phoenix.com/wp-content/uploads/2017/09/self-evaluation-of-company-marketing-program.jpg 800 1500 Casey Bourque https://www.webdesign-phoenix.com/wp-content/uploads/2016/09/web-design-phoenix-2.gif Casey Bourque2017-09-01 22:24:282018-09-27 11:23:40What are 2018 Marketing Best Practices? Many companies mistake Search Engine Optimization (SEO) for Inbound Marketing. The truth is that SEO is only a small part of the Inbound Methodology’s Attraction Stage. Sure, SEO helps to bring new visitors to your website, which is great. What happens when visitors make it to your website? • Do they come and go without a trace? how do you keep their interest over time? Feel free to share or reach out with any questions to our Web Design Phoenix consultants. 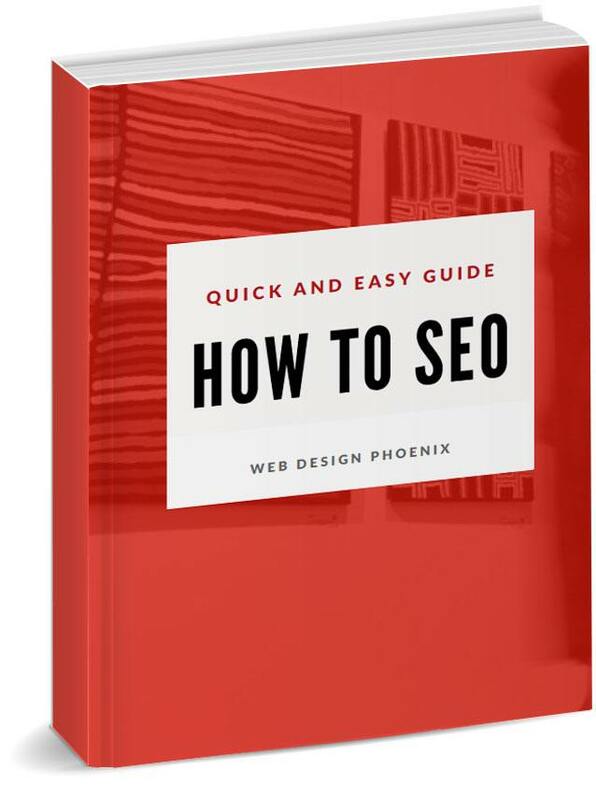 https://www.webdesign-phoenix.com/wp-content/uploads/2017/09/Intro-to-Inbound-marketing-video.png 384 680 Casey Bourque https://www.webdesign-phoenix.com/wp-content/uploads/2016/09/web-design-phoenix-2.gif Casey Bourque2017-04-20 21:07:182019-01-28 11:17:406-Minute Video: What is Inbound Marketing? Inbound Marketing is a process that seeks to address the changing “balance of power” between buyers and sellers nowadays. It used to be that sellers controlled all the information, and therefore had all the leverage in sales transactions. Today, if you consider recent purchases that you’ve made, chances are that you looked around online to research options before making your decision. Inbound marketing is a strategy that puts your company in the places where your prospects are looking for information. Over time, strangers convert into leads and then become customers. 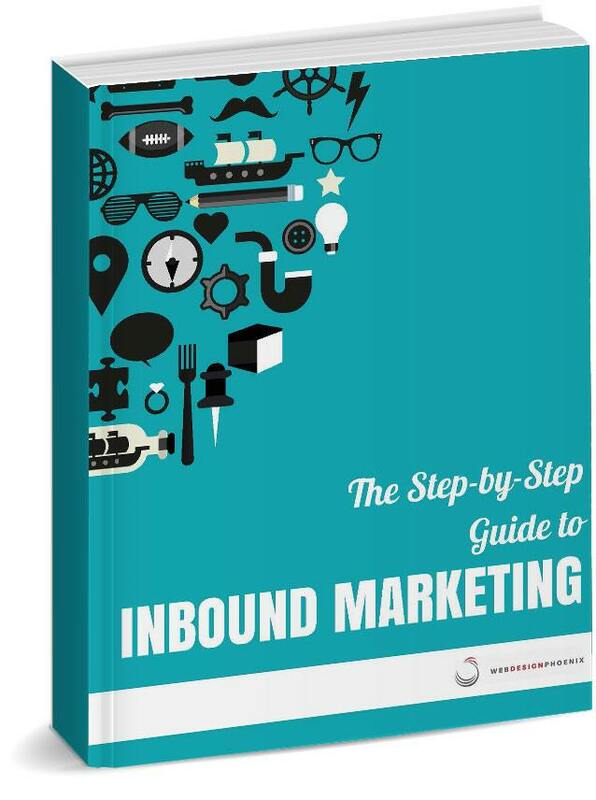 Inbound is like a trail of helpful breadcrumbs leading the way toward your goods or services. All performance metrics are tracked along the way to both demonstrate returns on investment, and to provide a basis for continual improvement. Convert visitors into leads…it doesn’t do any good for them to come and go without a trace! https://www.webdesign-phoenix.com/wp-content/uploads/2017/01/inbound-marketing-chart.gif 468 1021 Casey Bourque https://www.webdesign-phoenix.com/wp-content/uploads/2016/09/web-design-phoenix-2.gif Casey Bourque2017-02-04 08:13:532018-09-27 11:55:24What is Inbound Marketing? First, wade into the waters slowly. Consider that Amazon wasn’t built in a day. Look to resolve core requirements first, with the mindset that added functionality, integrations with current systems, and complete automation should be added later on. Chat with multiple e-commerce website developers. Consultations are free. Gather information on their approaches and suggested solutions. Share information on your requirements and you’ll collect ideas. Consider motivations. Many companies will simply charge by the hour or quote a flat project rate. These fee structures provide incentive for reduced work, minimal time investment, and slow delivery times. While it’s fair that both sides have skin in the game, suggest some sort of contingency component based on established, measurable metrics most important to you: say gross sales, website traffic counts, etc. Increased contingency component might mean reduced or eliminating out of pocket development costs for you. When cash flow is tight, this can be an effective approach with minimal downside risk for you. A good website developer will agree to this (under fair terms), while a lesser company may not. There should be sufficient upside potential for each of you, but also downside protection in the case of failed or ineffective solutions. It’s fair to work toward shifting some portion of the risk across the table to the developer. An experience website developer will spend time discussing these arrangements and seek to craft fair fee structures with aligned incentives, somewhat shared risk, and upside potential. This is a great example of how the world’s most effective logos often carry multiple meanings or messages, yet remain simple and easily identifiable. This is the goal of Web Design Phoenix when we are asked to develop brand logos for our clients, and speaks to the thoughtfulness and resourcefulness of quality logo design. Web Design Phoenix e-commerce websites can be programmed to automatically draw from current tax codes and adjust in real time as policies change. Whether you’re selling to customers locally or around the world, Web Design Phoenix can help implement either fixed tax rules, statewide policies, or national and international tax calculations. We work with out clients to ensure that tax regulations are considered appropriately and our e-commerce website and accommodate whatever tax regulations you are confronted with in your jurisdiction, industry or selling practices. Of course, tax law can be complex and you should certainly consult with a tax attorney or tax expert before engaging in e-commerce, particularly across state and national borders. Our team is available to help streamline this process however you see fit.